Whether you’re looking for someone from home to start your trip with and simple app for meeting other travellers. Travel plans as you, while listing by people proximity makes it easy to find people close by, wherever you rock up to, so you can find a new friend in every city. You may be tired, dirty and uncomfortable from that long journey and a little privacy seem mighty tempting, but remember, it’s much easier to make new friends in a dorm than in a private room or hotel. It’ll be pretty easy to strike up a conversation with your fellow travellers, seeing as they're in such close proximity in the beds around you. Being flexible is the best way to ensure you keep your new travel buddies. Sure, you might feel more comfortable keeping to schedule, but if you find a group you like it might be fun to accompany them on their route for a while or come up with one that might suit you all. 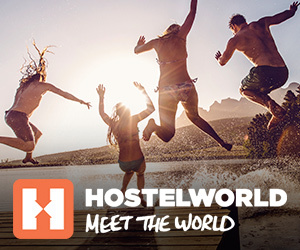 If you want to guarantee meeting your fellow travellers, then simply head toward the hostel bar (or if you’re not staying in a hostel, simply find the nearest one). They’ll no doubt be plenty of other solo travellers milling around in exactly the same boat as you. Organised activities are a great way to meet other travellers. There’s plenty of popular sports and activities to get stuck into out there in the world, like surf lessons, rock climbing or kitesurfing to name just a tiny few.